2018 is over. Today is the day many of us go back to work. Today is also the day many of us planned for our resolutions to begin. Today may also be the day our resolutions die. Why? Because we worry too much about being perfect right away. We're too hard on ourselves for what we SHOULD have done last year. Pretty soon the winter snow starts to melt and we're faced with another summer not feeling our best. What if we think about it differently this year? Ask yourself this: What can you do now? 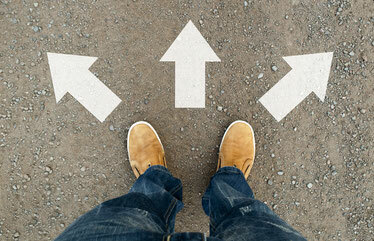 How can you take a step in the right direction? It doesn't have to be a big step. It might be a small step. THAT'S OK. It doesn't have to be a giant step to be progress. Maybe all you do today is park 20 spots from the entrance to the grocery store instead of 10. You've just doubled the distance you'd normally walk. It may not seem like a lot today but if you make it a habit to do something just a tiny bit differently each day, you'll find that in time, it all adds up.